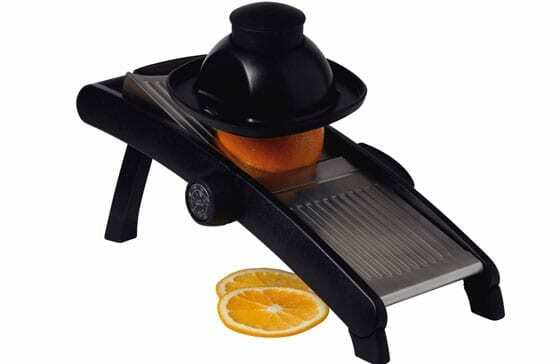 Not to be confused with a musical instrument, this helpful gadget slices fruit and vegetables very thinly, with ruthless efficiency and consistency. With basic models, the cook slides the food over one of several blades to achieve immaculate slices (or julienned matchsticks). The term ‘mandoline’ can also spelled without an ‘e’.